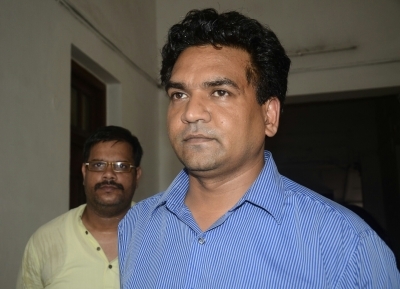 New Delhi, Aug 16 (IANS) Sacked Delhi Water Minister Kapil Mishra on Wednesday put up banners on different flyovers across the national capital, calling Chief Minister Arvind Kejriwal “corrupt” and urging people to join his campaign against the AAP leader. “Hundred days of surgical strike against Kejriwal’s corruption. Now it’s clear that Kejriwal is corrupt,” read the banners, hanging down the flyovers for passersby to read. “We have completed 100 days of surgical strike against corrupt Kejriwal. Today, ‘India Against Corruption’ is doing a banner campaign across the city,” Mishra said on Wednesday. The sacked minister said the banners were put up at major flyovers including Azadpur, ITO, Wazirabad, Peeragarhi and Dwaraka. Mishra took to Twitter to post photos of the banners in different parts of the city. Mishra was on May 6 sacked by the Aam Aadmi Party (AAP) as a minister in the Delhi government, citing poor performance. A day later, the sacked AAP leader made allegations of corruption against Kejriwal and Delhi Minister Satyendar Jain. Mishra was suspended from the party on May 8. Mishra has since then been protesting and levelling allegations of corruption against Kejriwal and Jain.